← Furniture Pads or Shrink Wrap: Which Wrapping Items are Best For a Move? We are Dallas movers that move on Sunday, with NO extra charge. It seems like everything is harder to do on Sunday — including trying to find Sunday movers. Garrett’s Moving & Storage not only does Sunday moves in Dallas, but we charge you nothing extra for doing it. 1) Be your Sunday movers and do your move on a Sunday. 2) Do it for the exact same price we would charge any other day of the week. Yes, we do moves on Sunday (and Easter). We’re here to do your move 365 days a year. Need to find Dallas movers on a holiday? Garrett’s can do that too. 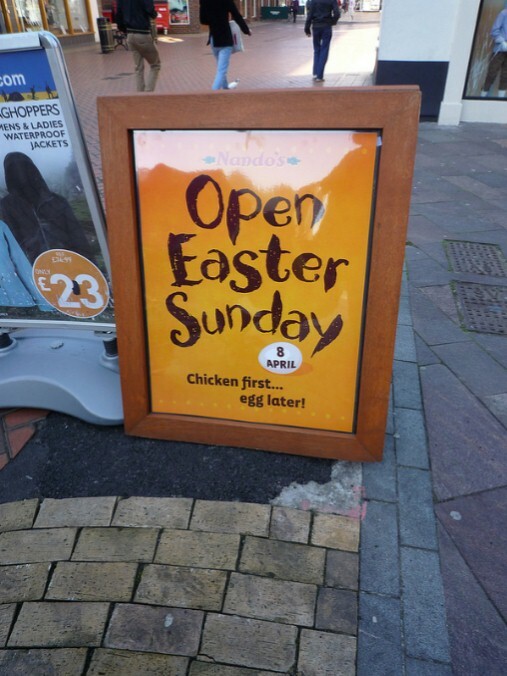 So maybe that Sunday you need to move on just happens to be Easter Sunday. Good luck on that one. Although some movers do operate on holidays, they work with skeleton crews and reduced hours. And they often charge extra for it. Garrett’s Moving & Storage does moves 365 days a year, including all holidays. In our experience, holidays can be one of the best times to move considering how empty the roads are! With all the things one typically worries about during a move, traffic can be crossed off the list. When it comes to creating a great moving experience for our customers, moving on holidays and being your Sunday movers is just the beginning. We are not only some of the most convenient movers out there, but we take our dedication to safe packing just as seriously. Take furniture and valuable items for example. The majority of movers take your furniture outside the home before packaging it for transport. This can be a problem, because as the movers are taking your furniture through the house, they risk scratching and denting it. Instead of taking that risk, Garrett’s movers always shrink wrap and pad your furniture and valuables before taking it outside and putting it in the truck. You can be assured that your most precious possessions will be kept safe and sound. If you are looking for Dallas movers on a Sunday, holiday, or any other day of the year, give Garrett’s a ring at 972-487-5843 for a free quote. We’ll have a member of our team come out to your home for a completely free, accurate estimate. Or if you’d prefer the online way, click here to fill out our estimate form, and we’ll be in contact with you within 24 hours. 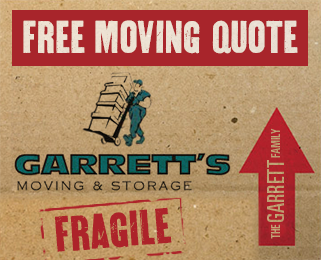 In addition, Garrett’s offers free storage at our Dallas facility to qualified moving customers. If you are interested in taking advantage of this offer, please let us know during your moving estimate. This entry was posted in FAQ's. Bookmark the permalink.